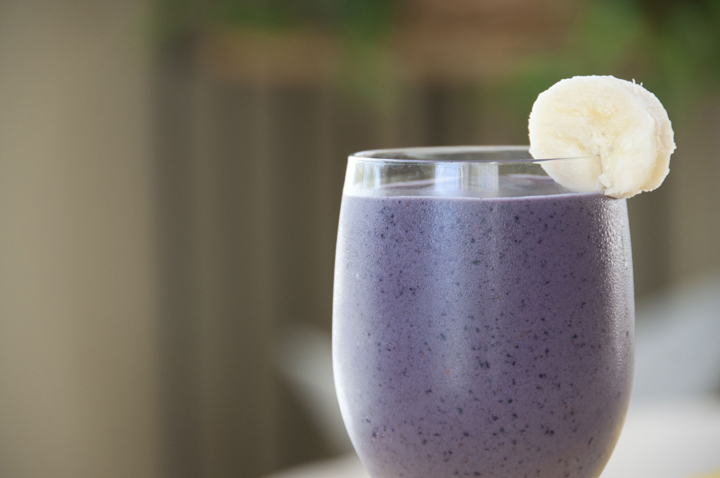 Blueberry Banana Almond Smoothie recipe made with almond milk and sweet blueberries is a healthy breakfast alternative that tastes amazing! I hope everyone in the U.S. had a nice long Labor Day weekend full of fabulous eats and not too much “labor”. What did you do? My hubby and I actually spent the majority of the weekend working outside on our patio. All work and no play for us this holiday weekend! I can at least see a light at the end of the tunnel now and can’t wait to post a picture of the finished product. I see a lot of campfires on the new patio in our near future! If you ate like I did this Labor Day weekend, then you are probably looking for something light and healthy to counteract all of the damage you’ve done to your body. At least I am! This Blueberry Banana Almond Smoothie is one of my favorite smoothies to date and it’s probably mostly due to the fact that I love the color of it. Yes, I rank my favorite foods on color occasionally. The amazing flavor didn’t hurt, though. 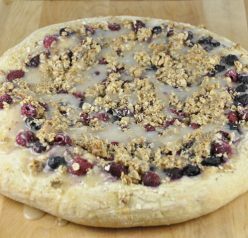 I love the hint of almond flavor with the blueberries and the creaminess that the banana and Greek yogurt gave it. Definitely try this sometime. Put everything together in the blender and blend until smooth. I love blueberry smoothie. I have never used almond milk/butter before but I love the idea. Great recipe Ashley. Have a great week! I love the slight almond flavor in smoothies! Thanks, Anne! I love adding almond milk and/or almond butter to smoothies! I love the color of this beautiful smoothie- looks great! Glad you had a productive weekend too! Thank you, wonderful aunt of mine! You’d love this! I love smoothies, I love blueberries, this is just perfect for my afternoon pick me up! 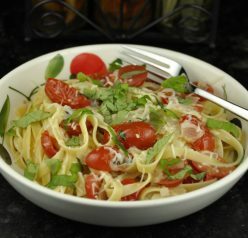 I could always use something light to snack on! I love your smoothie recipes — light, flavorful, and satisfying (: I actually had a very labor-intensive weekend as well, working full shifts at the lab where I do research! I did, however, find time to make yummy desserts to celebrate with friends and family. This smoothie would be the perfect counterbalance to my rich desserts! Congrats, can’t wait to see pictures of your patio! This smoothie looks so pretty and delicious! Thanks, Ruby! I’ll definitely post pictures once it’s done. I’m sure this would be good with peanut butter too! This looks awesome! I love the color! I love the way this looks. I may have to try this in the morning especially since I have all the ingredients at hand. Sounds so refreshing. Thanks for sharing the recipe. Thank YOU for commenting, Vicki! 🙂 Hope you try it and love it! I have never thought about adding nut butter to a smoothie. That is a great idea especially since almond butter is my favorite! I have been eating smoothies for breakfast lately and this is a must try! Yummy – I love smoothies and the color of this one is so inviting! This has such gorgeous color! Great way to use blueberries, too. Really good stuff – thanks! I love almonds and love the sound of the almonds in this smoothie. I only got a blender less than a year ago – I need to start using it for smoothies like this! The almond flavor MAKES this smoothie! I love adding almond butter to smoothies. I have yet to try it with blueberries though! Looks and sounds amazing. It’s SO good with blueberries! Thanks, Sally! Just looking at the gorgeous colors is a feast for the senses. I was looking for another smoothie recipe to try! This one looks perfect. Oh why thank you, Nicole! This is one of my favorite combinations, banana-blueberry-greek yogurt. I love your addition of almond butter — sounds great! Oh My! 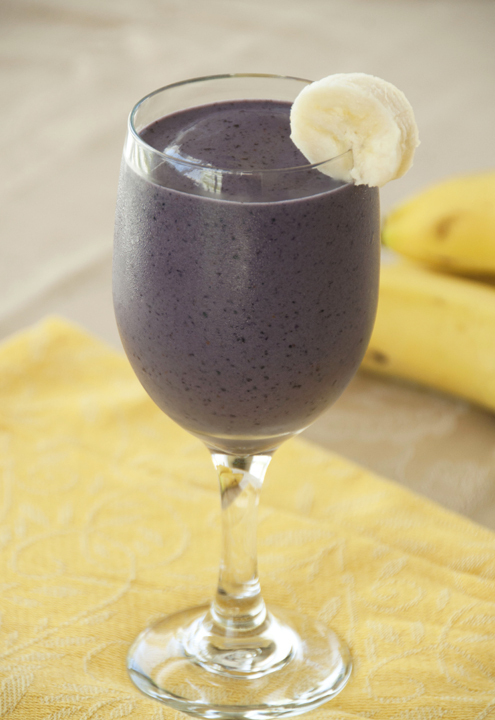 What a refreshing smoothie – love love love the blueberry, banana, yogurt combo!!! Lovely, Ashley…watermelon/strawberry/banana? I love S/B…and watermelon.I never thought to try them together. It’s a really good combination! Thanks, Tonette! 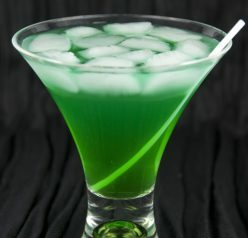 I could drink this everyday!! This is one of my favorite smoothie combo’s! !